The czech website DCCMM shared a post regarding very small PCB with switching voltage regulator. 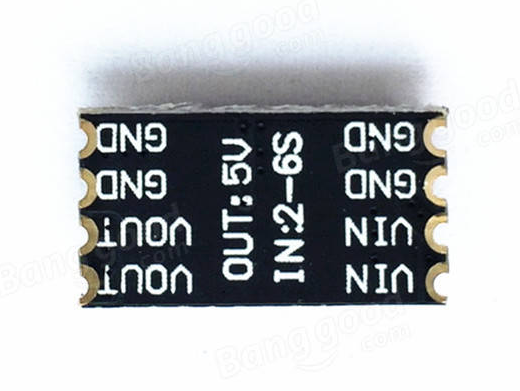 The output voltage is 5V and output current up to 1A. The voltage ripple of regulator should be < 30mV and efficiency is up to 90%. The 3.3V/3A version you find here. The size of PCB is a little bigger. The PCB dimension is 15x8x2.8 mm and weight is only 0.6 g.
The switching frequency of regulator is 1.4 MHz and the output contains LC filter. The range of input voltage is 6.5V - 25.5 V.
The website DCCMM designed library for Eagle CAD. The eagle library of micro DC/DC voltage regulator you can download here.